Now I know it is really hard to believe and such was my reaction I got to know about this product. Rainy Season comes with so many skin and hair problems like skin irritation, rashes, fungle infections acne and so on . Judicious efforts towards your skin can help us fight all that.I have oily acne prone and sensitive skin. I was facing pore clogging and rouge skin problem since long so in this season I have decided to change my skin care routine. 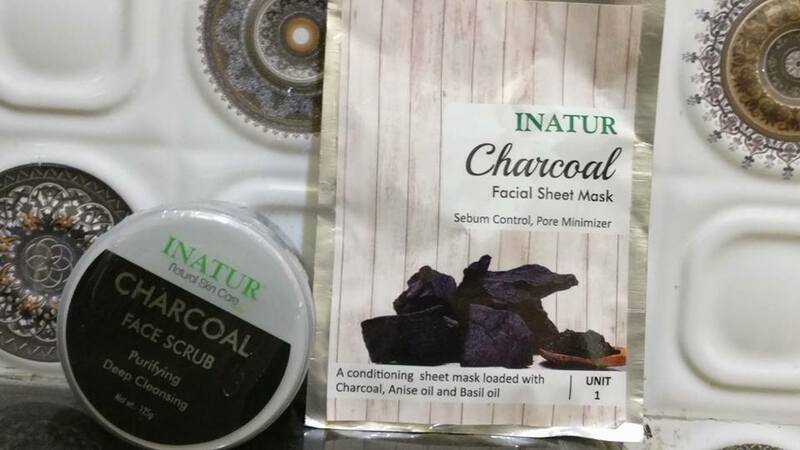 This time I have gone all natural and recently bought Inatur Herbals Charcoal Face Wash and Face mask less chemical composition in its ingredients for my daily use. 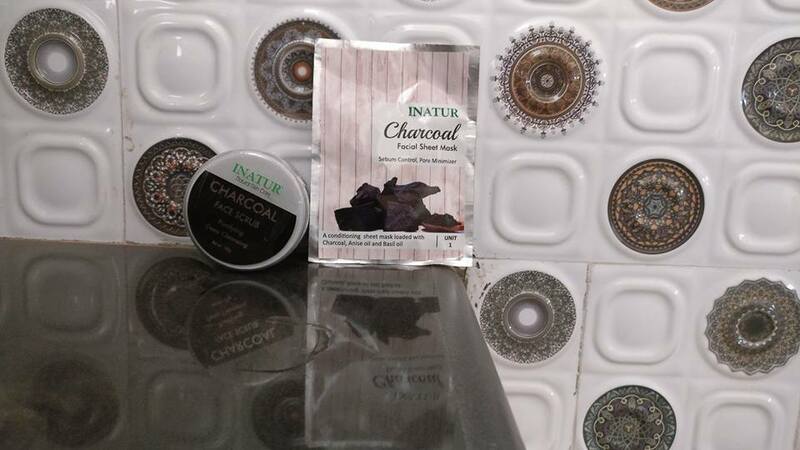 Today’s review is all about Inatur Herbals Charcoal Face Scrub & Mask which I have been using since a month. It has Charcoal as it main ingredient. 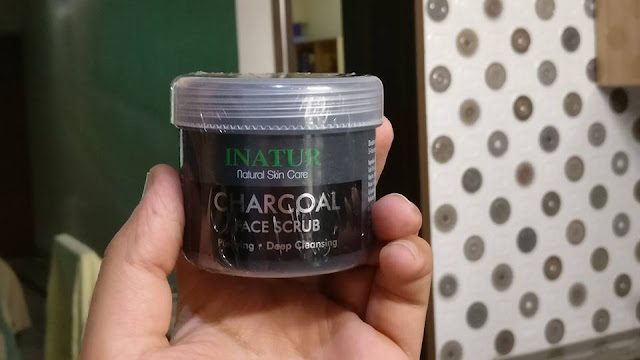 Inatur Herbals Charcoal Face Scrub :-A deeply cleansing and purifying cream based scrub that helps to slough away dead skin cells, leaving behind a glowing and nurtured complexion. It can be applied daily for a glowing complexion. Take Inatur Charcoal Scrub on finer tips and apply on wet face moving your fingers in circular motion. Rinse well with water. 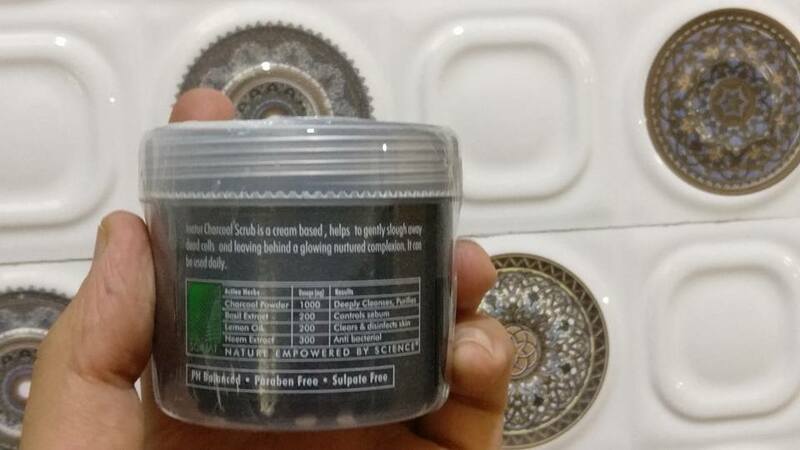 The scrub has goodness of Charcoal powder,Neem,Basil and Lemon oil which works great to get problem free and healthy looking skin. It smells heavenly. Only little quantity is needed for one time application.It exfoliates really well and it doesn’t sting or irritates my skin. 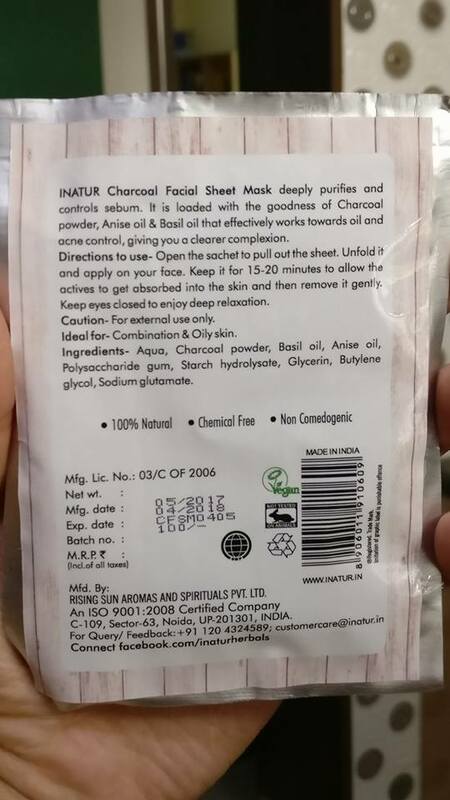 Packaging :-The scrub comes in a tube packaging and the whole information about the product is mentioned at the black color plastic wrap of tub. The scrub states itself for deep cleansing and pore refining. It has a seprerate lid inside to keep product in a its place and the tub packaging is not flimsy at all and travel friendly as well. The activated charcoal gives glowy and brightening appearance to my acne prone skin. It prevents breakouts as well. It minimizes facial pores to great extent hence my skin looks much better than before.And last but not the least it is parabene and sulfate free which is great for balancing the pH level of facial skin. Charcoal based products are bliss for oily and acne prone skin.If you have skin like mine go grab it now. The quality as per the price is unbelievable. I have used other clay and charcoal masks and nothing in this price range works as great . The face pack when dried and washed with cold water gives skin a soft feeling. You’ll feel the difference when you touch your face. The product says that it’s specifically beneficial for tanned , oil and acne-prone skin and it’s true. The pack goes on smooth over your face and gives you a shiny fresh look. I loved using it with the Inatur Herbals Charcoal Facewash and mask. Infused with goodness of Basil,neem and lemon oil. Tub Packaging is unhygenic overtime. Now, don’t be shy and hit the Like buttons on our Social Media pages like Facebook , Twitter and Instagram ..and do join our mailing list for more updates.